First read this National Geographic Article. 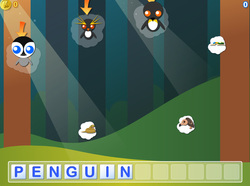 Then see how many animals you can spell to create a picture in Kerpoof. Look back at the article if you need to.